If you're looking for an enhanced work performance, then Kensington is your call. When you're at your workplace, you want something that looks good, feels good, works well and makes sense. 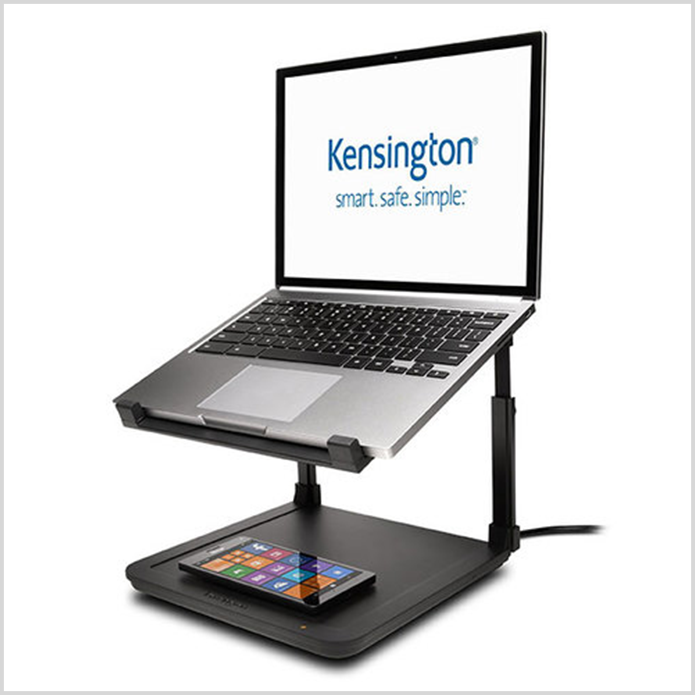 This is what Kensington has leveraged when creating their vast array of ergonomic products that provide a total solution. 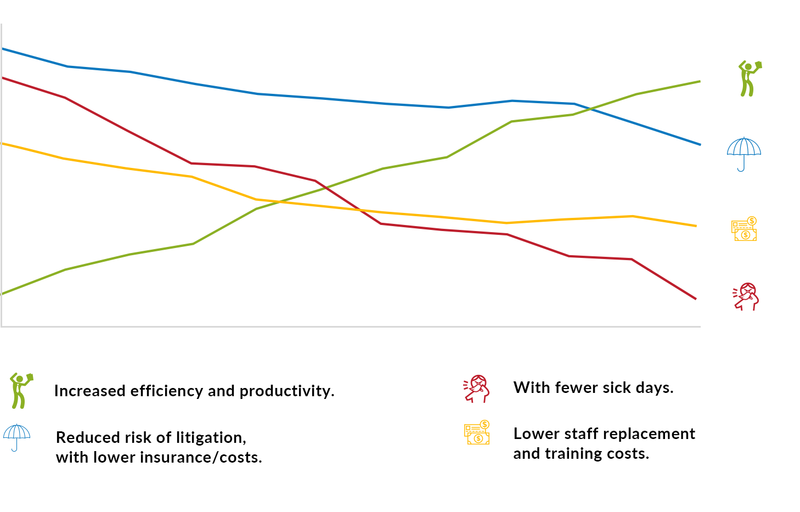 Increase your employees' well-being and productivity in 4 easy ways. Improve pain or potential injury of your neck with these easy to implement workspace ideas. As a rule, the top of the monitor should be at or just below eye level. Having your screen at eye level is such a better way to work. 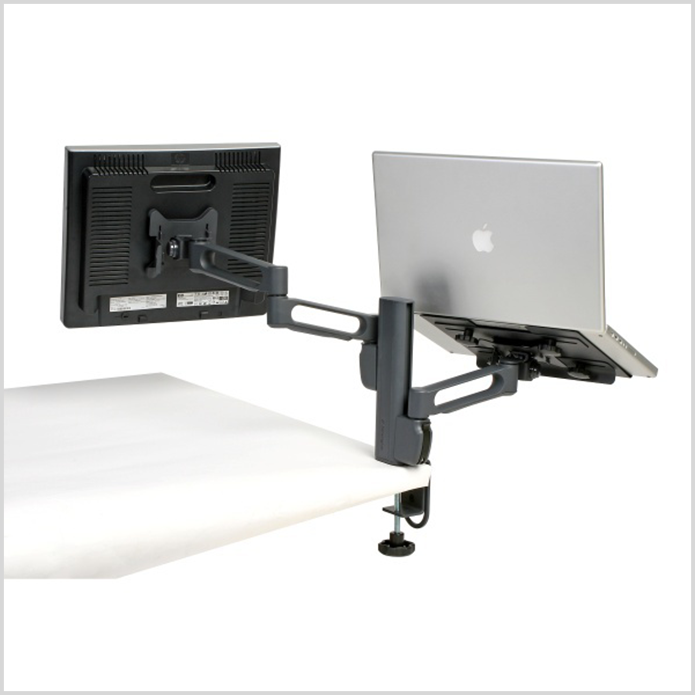 Our monitor stands help you avoid hunching over while you work at your desk. You also reduce twisting your spine and overextending your neck, which can lead to back and neck problems. Sometimes you need a lift with your monitor and this is where the Kensington SmartFit monitor arms work really well to provide the perfect positioning for a safe, ergonomic and comfortable workspace. Using the exclusive colour coded SmartFit system, get your monitor at the best height to reduce eye and neck strain. Kensington monitor arms are light weight, easy to assemble and will suit a whole range of operator needs. A lot of us spend many hours at a desk using our keyboards and mouse constantly, which can lead to some long-term injuries. To reduce wrist strain at your workplace, ensure your wrists are straight and your hands are at or below elbow level. Your table height should be at or slightly below elbow height. 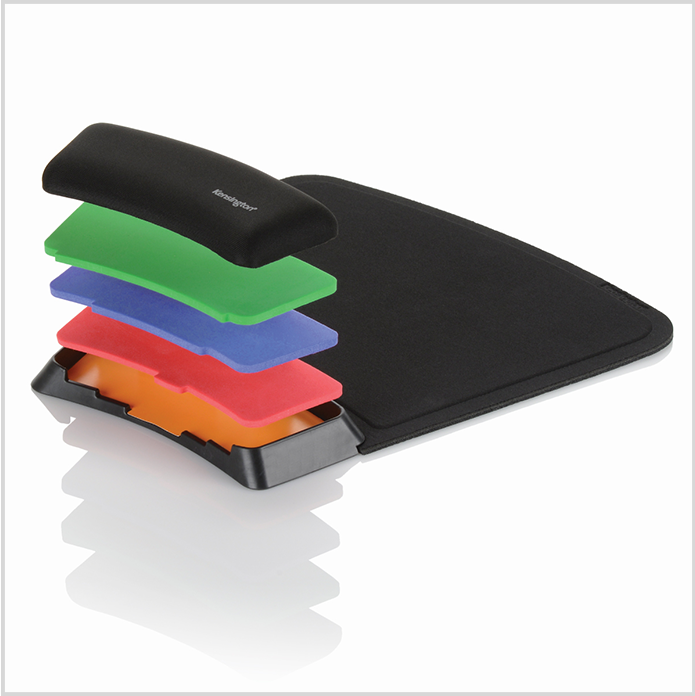 Kensington’s range of mouse pads and wrists rest relieve wrist pressure and maintain the arms in the proper ergonomic position. This includes keeping your keyboard and mouse lower than your forearm to reduce bending the hand backwards which causes compression on the nerves and blood vessels. Typing at the right height is also important. Prevent hunching and overextension of joints and compressing nerves with the Kensington keyboard drawers and platforms. 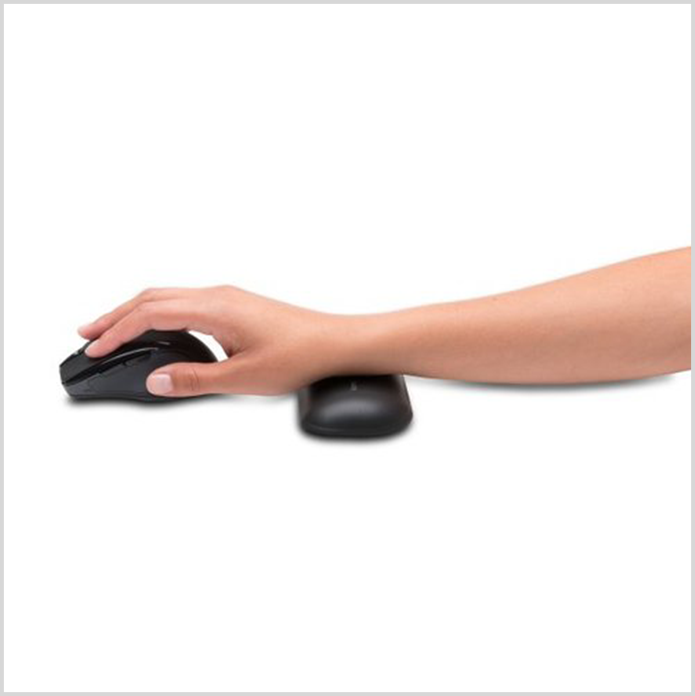 Also available from Kensington is a comprehensive range of ergonomic mice, trackballs and keyboards to help with reducing risk of wrist injury and increase comfort and productivity in the workplace. 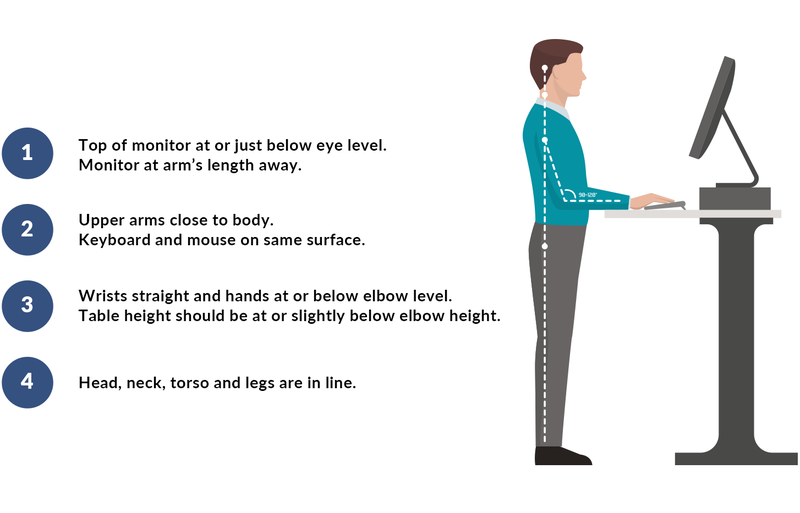 Lower back pain at your workspace can be avoided by keeping your upper arms close to your body and having the keyboard and mouse on the same surface. Computer displays aren’t the only thing that you’re looking at whilst at your workspace. Consider this range of Kensington copyholders to help position material at the correct height and angle to reduce head fatigue and eye movement as well as increase comfort and productivity. 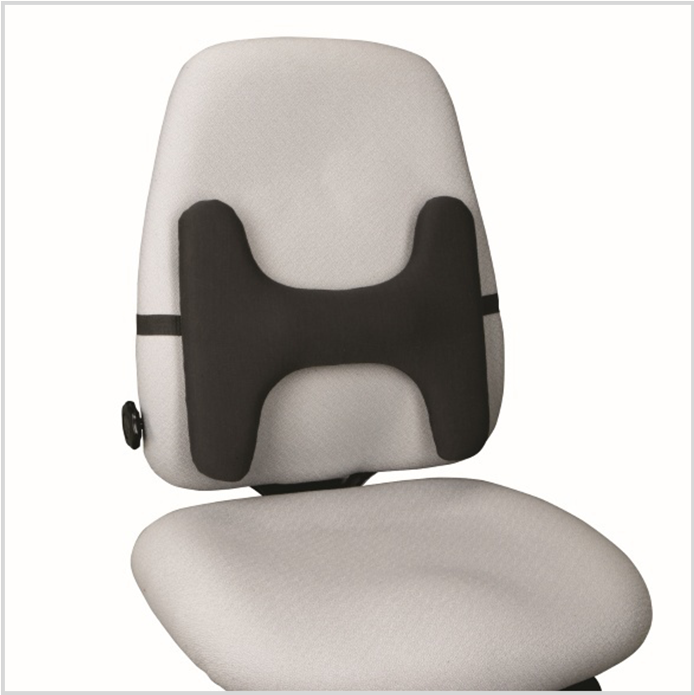 Kensington also offers a range of back rests to help reduce back strain whilst working away. 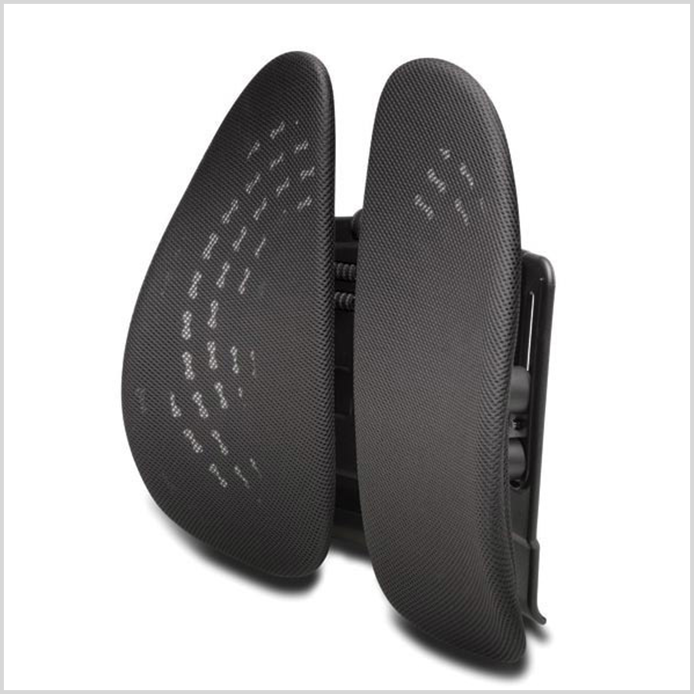 Providing both comfort and support for your spine whilst improving posture, the range adjusts easily to fit most chairs. Hauling your equipment and work needs attention too! This is where the Kensington Contour bag comes in handy. This range of Kensington cases are premium, durable and ergonomically designed to give you ultimate comfort, by keeping the load of the bag closer to the center of gravity. Keep your feet free from strain and pain. Your head, neck, torso and legs should all be inline. 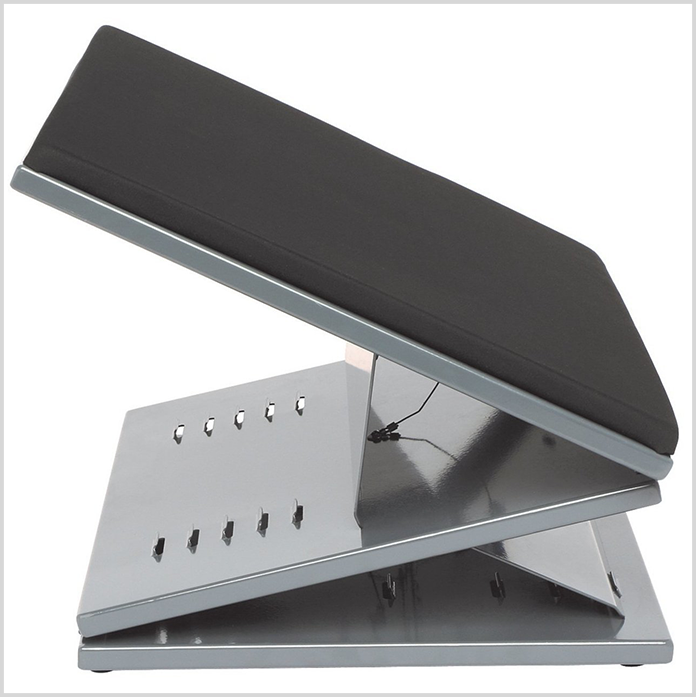 Kensington foot rests keep the legs elevated for improved posture and circulation whilst seated at your desk. They are lightweight, adjustable to suit every need, require no assembly and can be easily adjusted! Still Wondering What Are the Benefits of a Kensington Ergonomics Workplace? The Kensington SmartFit® system enables you to customise your work environment to get maximum comfort from your desktop accessories. 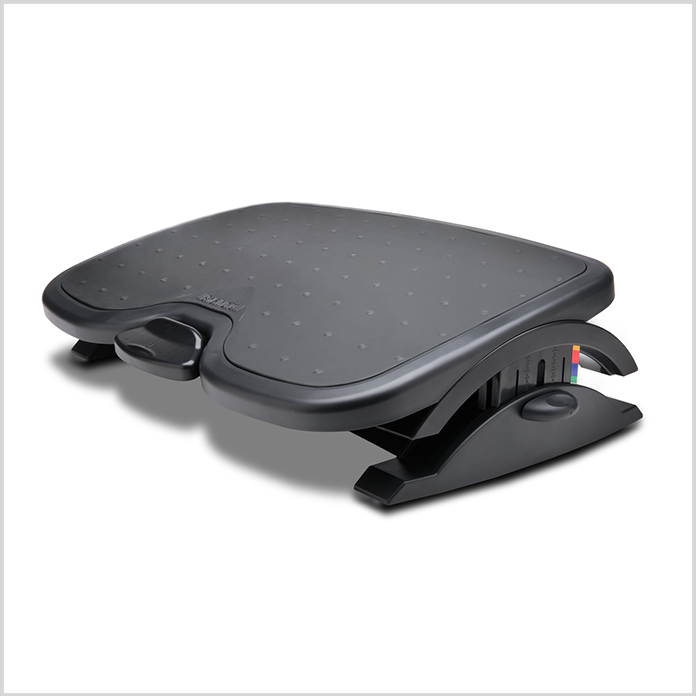 All that you need is the SmartFit® hand chart to quickly and accurately set up and adjust a product to your personal comfort setting. If you share a workspace with other users, SmartFit® allows easy and accurate adjustment for each individual, saving both time and money! With every SmartFit® product, you will receive a hand chart in the box. This hand chart will assist you in finding your specific SmartFit® colour to customise your fit. With your right wrist on the baseline of the hand chart, lay your entire hand over the diagram. The tip of your middle finger will point to your SmartFit® colour, and achieve the perfect fit in seconds!